Are you curious about how economic, political and social processes are reflected in geographies? Human Geography is all about understanding the evolution of places, landscapes and environments. You'll apply human geography concepts and techniques to re-imagine more socially just and sustainable futures. Why Human Geography at LSBU? Our experienced staff have track records of academic research, professional practice and consultancy and strong links to public, private and voluntary sector employers. With our facilities based in central London, the location is perfect for investigating (through local site visits) the societal challenges and processes facing global cities in the 21st Century. Be inspired by guest speakers from public, private sector and third sector organisations, as well as academia, will bring specialisms and real world contextualisation. Residential field trip at no extra cost are invaluable for putting into context what you've learnt in lectures, seminars and from your own research - we'll explore sites in Cornwall (UK) and in the South of France. From maps and texts to visuals and digital technologies, you'll learn to prepare maps, diagrams and other forms of spatial representation using appropriate IT and GIS technologies. This course covers making sustainable places; human geography theory and its application to 21st century cities - like London; social and cultural geographies; regeneration; GIS technologies and geopolitics. You'll learn to appreciate that the key dimensions of inequality are socially constructed, and that geography plays a crucial role in those constructions. This module uses the rich resources and the dynamic setting of London to explore the techniques and ideas human geographers use to understand urban life and in particular the issues faced by this global city. Case study visits are a core part of your learning experience and enable you to practice field research and observation skills. Assessment: 100% coursework. This module explores key ideas that help us understand how places are structured and created. 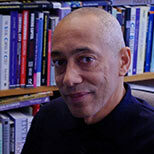 We'll examine processes of economic, social and cultural change and academic attempts to conceptualize these shifts. In particular we'll look at how these shifts affect different groups of people and different places in different ways. This in turn raises issues over the extent to which planning can design manage and regulate change in the built environment. ‘Survey, analysis and plan’ remains one of the key methodologies of planning. This module gives you an introduction to some of the intellectual tools and understandings that are crucial to this approach. Assessment: 100% coursework. This module examines the challenges faced when trying to make places more sustainable and encourage appropriate forms of future development. A residential field study visit is integral to the module and provides you with the opportunity to meet with professionals engaged in key professions, such as planning, tourism and housing. Assessment: 100% coursework. This module introduces the main themes, topics and sub-disciplines of human geography and the contribution a geographical imagination brings to our understanding of social and environmental worlds. Assessment: 1500-word essay (50%) and multiple choice test (50%). This module examines a range of ways in which geographical information is produced and communicated. We'll focus on Geographical Information Systems (GIS) and how planners and other relevant agencies, stakeholders and interests groups, compile, represent and use geographical data. Assessment: coursework, evaluating report of local authority GIS systems (50%) and an alternative map for an urban environment (50%). This module introduces the artistic and creative aspects of spatial planning that underpin the current belief that good planning and good design are inseparable. We'll explore this through detailed studies of places, their character and what makes a place unique and the way that this is created and managed. Assessment: 100% coursework. This module introduces you to the fields of geography and human geography through the lens of tourism. You'll assess important overarching debates and issues between the disciplines. This module will help you gain a critical, holistic and responsible approach to the development and management of tourism. Assessment: 100% coursework. The module covers the development process for residential housing, with an emphasis on how environmental sustainability can be built into the process. We'll consider the role of the developer and the speculative house builder, the various roles of local authorities (as enabler, planner and commissioner), housing associations and other key professionals; the role of town planning in the development process and the broader context within which housing development occurs are also considered. Assessment: 1500-word essay (40%) and poster presentation (60%). On this module you'll examine the founding thinkers of social and cultural geography before examining the current research interests and contribution of this expanding area of human geography. A key focus will be structures and geographies of identity and difference, including issues of cultural difference, gender, disability and sexuality. You'll learn to appreciate that the key dimensions of inequality are socially constructed, and that geography plays a crucial role in those constructions. Assessment: 100% coursework. On this module you'll focus on the challenges involved in regenerating urban and rural environments facing challenges of decline and restructuring. A key focus will be the role of local scale interventions and strategies through planning and regeneration agencies. This module is based around a residential field study visit in a European city. Assessment: critical field study report (3,500 words). This module examines debates and themes across the sub-discipline of economic geography. Emphasis is placed on assessing the character of local labour markets along with strategies for local economic development. Assessment: 100% coursework. This module examines the geographies and planning of transport. We'll focus on the importance of modes of transport for patterns of land-use and the construction of sustainable futures. It also examines how issues of power and equality underpin mobility: who can move, how and in what ways. You'll learn a range of research methods appropriate to transport research and social survey analysis. Assessment: 100% coursework - a transport study (3500 words). This module introduces you to the background of current environmental issues, including climate change. We'll explore how different environmental policy and management regimes operate in an international, European, national and local context. You'll explore to environmental planning and related policy issues - as well as different perspectives on sustainability. Assessment: research essay (2000 words) 30%, presentation 20%, exam (2.5hr) 50%. This module introduces you to the complex relationships among stakeholders, resources, institutional structures and development philosophies which help to determine the nature of physical tourism development and the supporting tourism policies. We'll also consider concepts and techniques that may be applied to tourist destination in order to manage their ongoing growth and to avert the effects of decline. Assessment:100% coursework. This module provides you with an understanding of housing development strategies. We'll start by considering the context for development and we'll then look at different housing strategies put forward by UK Governments over the last 20 years, focusing on the most recent ones. The module is divided in three parts. The first part looks at perspectives on housing policies. The second focuses on recent housing strategies. The third looks at housing delivery. Assessment: 100% coursework. This module examines the process of development, from inception of a scheme to construction and into use. It explores the economic rationale for development, financial appraisal of development projects, betterment and the mechanisms for providing community benefits. Assessment: 100% coursework. This module introduces you to the framework for analysing tourism development in developing countries, the key players, components and considerations involved in the development process. Assessment: 100% coursework. This module deals with the housing systems and environmental sustainability policies and practices that are in place in the UK and the Netherlands. These are presented and developed to provide a basis for comparison with contemporary housing, sustainability and urban regeneration in the United Kingdom. Your field study skills are developed via a field-trip to The Netherlands. Assessment: essay (2,000 words) 60% and blog (1,500 words) 40%. This module enables you to reflect critically upon a period of work experience so as to enhance their future employability. In addition to staff advice and contact the student will gain the support of the University’s Employability Service. Assessment: 100% coursework. The 10,000-word dissertation is a double-weighted module that runs over two semesters. It's an intensive piece of student-devised learning which can include empirical research. You'll choose your own research topic. The dissertation allows you to engage with a substantial piece of research and writing which is self-initiated and supported by a specified academic supervisor. Assessment: 100% coursework. This module examines how political geographers interpret the changing structures and dynamics of international relations. We'll examine the changing world orders and disorders of global politics through time. A key focus is the characteristics of the contemporary ‘new world order’ and how this is represented by academics, politicians, policy communities and across popular culture. Assessment: 100% coursework. This module explores the ways in which the changing geographies of cities have been conceptualised and represented across a range of written and visual media through history. The implications of such representations for policy and practice, particularly for spatial planning, are a central theme of the module. Assessment: 100% coursework. This module provides you with an introduction to planning: urban regeneration, urban design or environmental planning. Assessment: 100% coursework. This module starts by looking at the development of destinations and the challenges this offers the marketer. We'll then explore the strategic setting of goals for destination marketing, market positioning and branding, marketing approaches adopted by the industry (emphasising the development of inter organisational relationships), the role of governments in the process and the impact of information technologies. Assessment: 100% coursework, a 4,000-word marketing plan. This module is delivered in two parts. Part One begins with fundamental concepts of housing, poverty and local economic development in a developing-country context; the module examines the forces affecting demand and supply, cost, location, conditions and tenure; recent trends in the economic, policy and legal frameworks which affect them. Part Two examines the avenues open to housing and other urban professionals attempting to engage in this field; and considers methods of intervention. Examples will be drawn from across sub-Saharan Africa, South America and India. Assessment: 100% coursework. This module explores spatial planning at the strategic level. In practice this can refer to planning activities at the regional, national and international levels. The European Union has dramatically increased the role of regions in recent years and the module examines the theoretical and practical elements in relation to regional development. Uneven patterns of development and increasing regional disparities are common at the level of the European Union and within many of the member states. However, more recently some countries, including England, have moved away from a regional focus in favour of a stronger emphasis on local areas. The module analyses the responses to the problems of economic, social, territorial disparities by examining contemporary processes and mechanisms of governance, government, policy and planning. This module focuses on the strategic spatial planning agenda at both the UK level and in the wider European context. Assessment: 100% coursework. The module explores the growth of tourism and hospitality as a dynamic driver of post-industrial economies, analysing models from around the world. It also seeks to understand how different urban environments such as city centres, historic cities, and other honey pots cope with the pressure of high levels of use and why some areas such as northern European seaside resorts, face intractable problems in developing their leisure economies. The module also consider models to measure economic and social impact. Assessment: 100% coursework. The module introduces students to understandings of housing and home. The primary focus is upon developments within advanced capitalist societies during the twentieth and twenty-first centuries, however reference is made to other societies and historical contexts where appropriate. The module brings socio-cultural aspects such as home cultures and home consumption together with economic- & planning-related themes such as home ownership, the state and the housing market. Assessment: 100% coursework. As a graduate of Human Geography BA (Hons), you’ll have a wide range of career opportunities. You'll be able to prepare and interpret maps, diagrams and other forms of spatial representation using appropriate IT and GIS technologies. You’ll be able to demonstrate specialist professional practice, policy and business skills and techniques relevant to careers in planning, housing or tourism. And you’ll be articulate in moving policy and development strategies toward more environmentally sustainable and socially just futures. 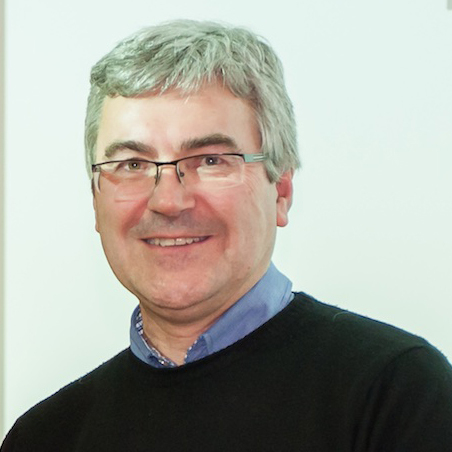 Neil has extensive experience in international research and consultancy, focusing on European spatial planning and rural and regional development, with a particular focus on Central and Eastern Europe. 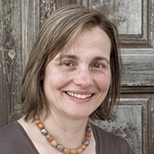 Sam Johnson-Schlee is a lecturer in human geography in the School of Law and Social Sciences. 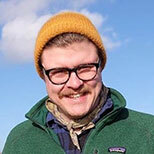 Dr Leary-Owhin's interest is in the production of urban public space and he has studied Manchester's 'regeneration' since the 1970s as well as international urban regeneration focusing on Lowell MA and Vancouver. 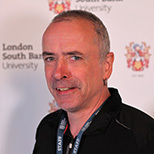 His recent publications include: Exploring the production of urban space: Differential space in three post-industrial cities and The Routledge Companion to Urban Regeneration. 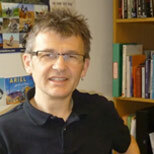 Phil is an Associate Professor in Human Geography within the Division of Urban, Environment and Leisure Studies. 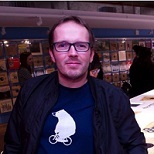 His research interests include moto-mobilities, the politics of sustainable design, and European spatial planning. Sustainability education for Housing managers. Lectures will deliver key topic areas across the programme. Guest speakers from public, private sector and third sector organisations, as well as academia, will bring specialisms and real world contextualisation. Interactive seminars and workshops will support the lectures and encourage you to actively participate throughout the academic year, learning from your peers and sharing knowledge and support amongst the diverse student body. This kind of experiential learning is central to the teaching strategy of the course, which includes local site visits across London and residential field trips in the UK (Cornwall) and Europe (Southern France). Fieldwork is invaluable for putting into context what is learned in lectures, seminars and from the students own reading and self-directed research. Self-managed learning activities will both supplement and consolidate what you do in class. These include reading texts and relevant journals, application of knowledge to additional problem-based exercises, engaging in coursework, group discussion, review of key topics and seminar preparation. Many of these activities are supported by the Moodle virtual learning environment (VLE).